I recently finished a set of placemats using this tutorial as a combination Christmas/housewarming gift for a friend using two Cotton+Steel prints and a coordinating cotton couture solid. These placemats are fat-quarter friendly. They are a little wider than the typical placemat and also slightly shorter in length than most placemats. 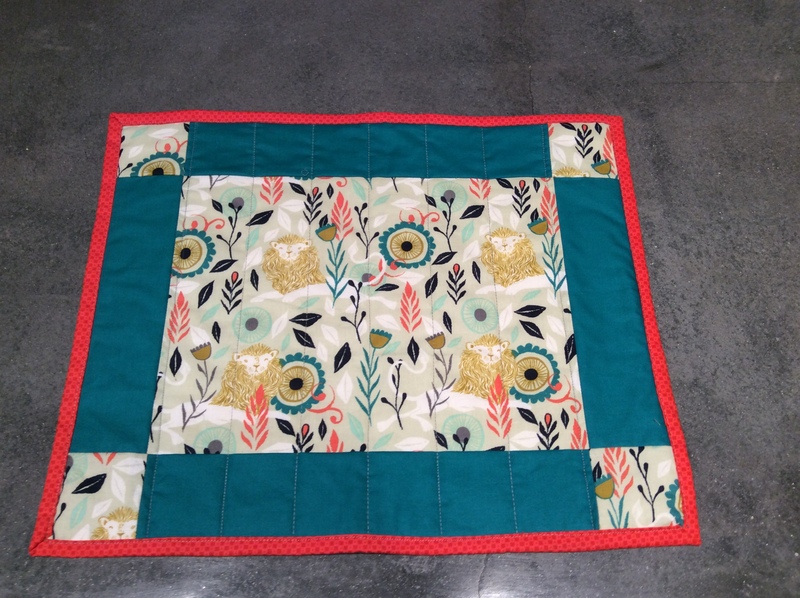 I used Rae’s Cheater Binding tutorial that creates binding from the quilt back. Full disclosure: since I have to redo one of the placemats, I’m not completely finished. I just don’t have time to make another placemat right now, so I decided to give my friend three placemats and four napkins with the promise to give her the fourth placemat in February when I see her on my way to QuiltCon. So you may ask what happened to the fourth placemat? Well, I accidentally cut a tiny slit in my backing-as-binding fabric when I was trimming away the extra batting. Grrrrrrrrrrrrrrrr! I decided to see if I could repair the slit with Fray Check which may have worked, but instead I grabbed the small bottle of Sewer’s Aid which is a thread conditioner that is in a bottle similar to Fray Check. I applied it to the slit which created an ugly greasy spot on the placemat rendering it absolutely ungivable! Its repurposed life is as a mat under my sewing machine. I’m going to try treating the spot with Dawn dishwashing liquid and see if it helps at least diminish the spot. Despite my snafu, this was a fun project to work on. The fabrics are so beautiful, and it was a nice break from working on the Japanese quilt for my stepson which I still hope to finish next weekend. Next December, I hope to NOT be working on any large projects for Christmas! Linking up to Crazy Mom Quilts: Finish it up Friday and Confessions of a Fabric Addict: Can I Get a Whoop Whoop? Very pretty! Your story will resonate with the world! 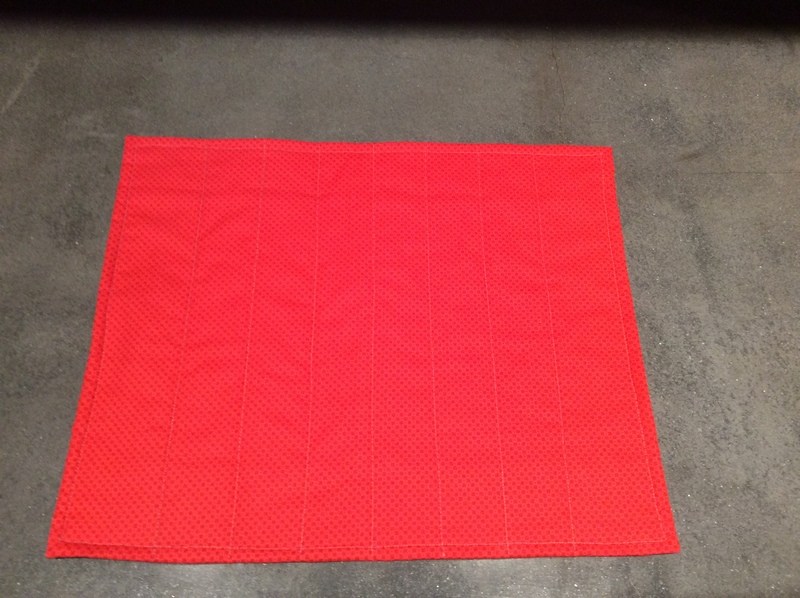 But look, you got a great sewing machine mat out of it! Ahhh, we’ve all done that, it stinks….but your placemats look great!